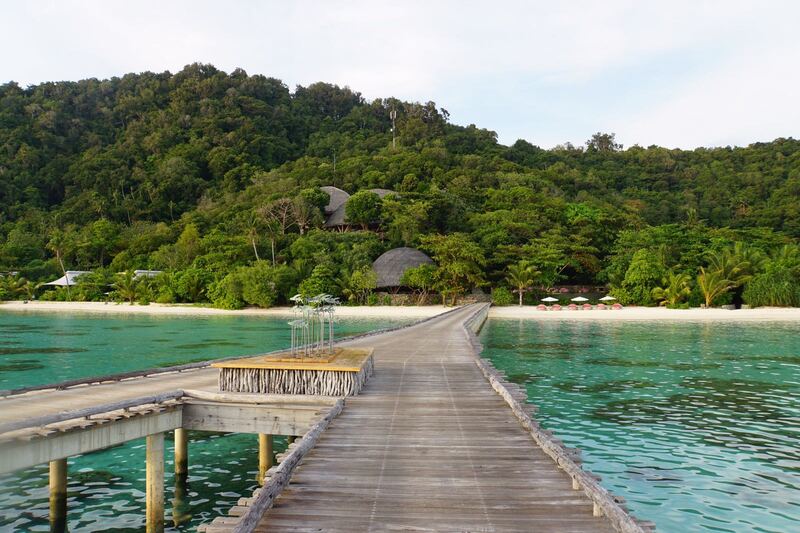 As our sea plane descended over the tiny Bawah Reserve in the Anambas region of Indonesia, located between Singapore and Borneo, we could see our hosts eagerly waiting for us on the jetty ready to welcome us to their island paradise. 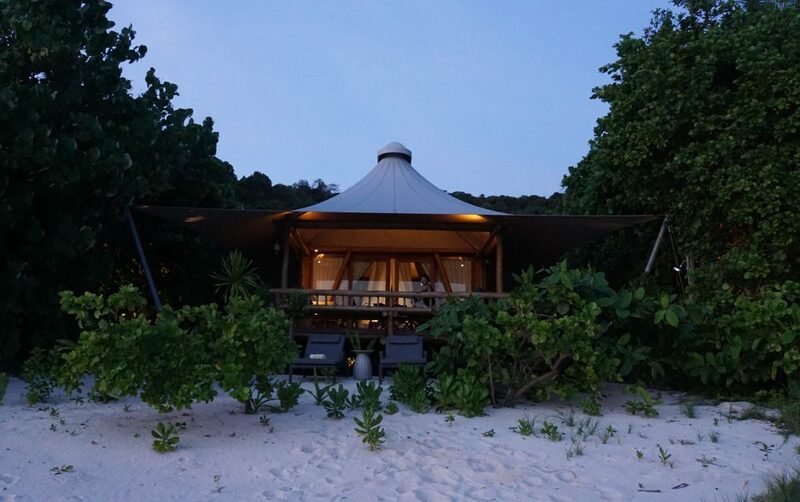 On arrival were taken straight to our luxury tented, safari style beach suite, for our welcome mocktail and introduction to Bawah. Whilst kicking off our shoes we were greeted with spectacular views as we climbed the verandah of our suite with a bamboo and teak deck, nestling underneath the soaring canvas tent. We left the boys to rush down to the beach, all but 10 metres away, as we slid open the glass fronted doors and were greeted with a cool blast of air. 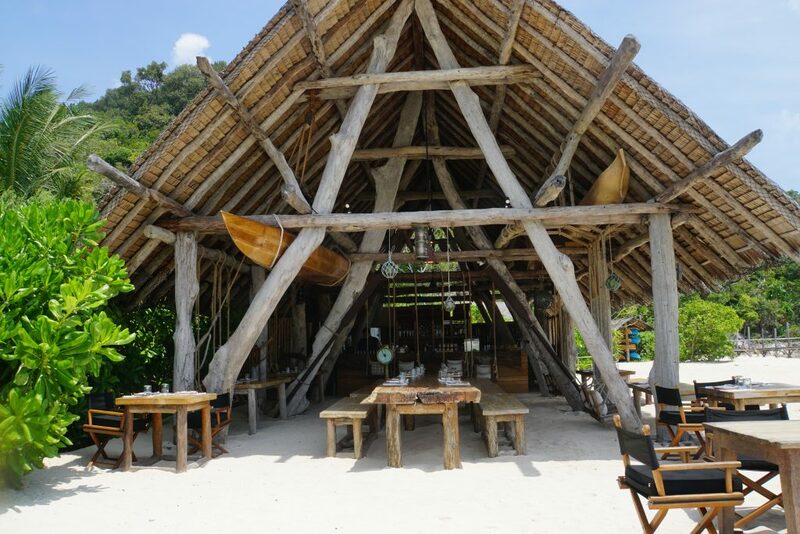 So what is there to do at Bawah, a remote island 160 miles north east of Singapore? 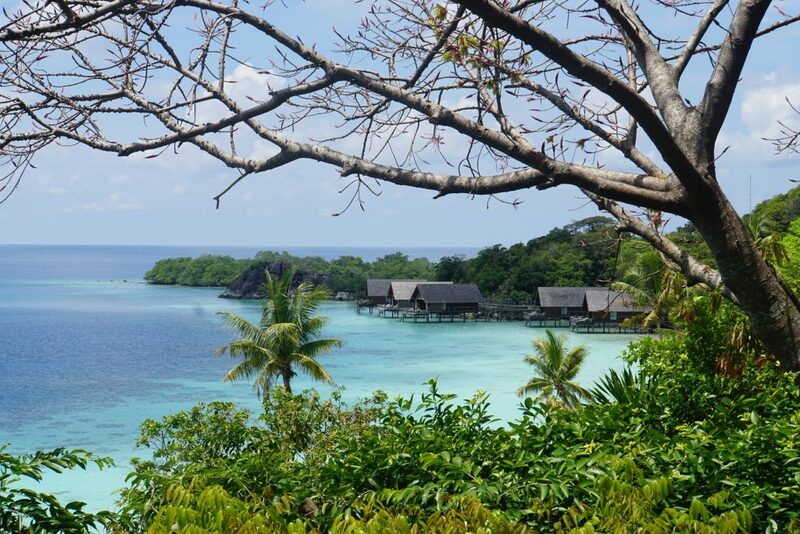 There is as much adventure as you can pack in or as much relaxation and privacy as you need on this beautiful island lagoon where the team, on a daily basis, skillfully weave to create your own personal itinerary. We had many personal and fantastic experiences during our time at Bawah. One highlight was being taken to our own private beach for an Asian picnic for an afternoon of snorkeling, paddle boarding, kayaking and exploring the shoreline. Our names painted in sand on driftwood outside our beach suite was one of the many personal touches that we would get used to over the next few days. Opportunity for snorkeling at Bawah is very easy. Just walk out of your tent, down to the azure, blue ocean and off you go. Sometimes we went from the beach outside our beach suite, sometimes to a site by boat or even kayak. At each site we saw something different: turtles, reef sharks, tuna, trumpet fish, puffer fish, octopus and the many vibrant varieties of fish and corals that populate in the coral reefs of the island. Conservation and sustainability drives everything that takes place on the island. Bawah harvests, treats and stores their rainwater, and have a sophisticated reverse-osmosis seawater treatment plant, utilising multi-stage filtration technology. Water is heated by solar energy; waste water is treated for their permaculturalist to use on organic fruit and vegetable gardens; pesticides are banned. Due to the official marine conservation status of the Reserve, fishing, anchoring and collection of any marine life is forbidden. Our 12 year old son, eager to learn more about marine conversation, had the opportunity to get up at 6am one morning and go out on an inspection with the marine biologist. He came back full of excitement about the checks on the turtle laying sites and coral trees being grown to regenerate parts of the reef, previously damaged by fishing. 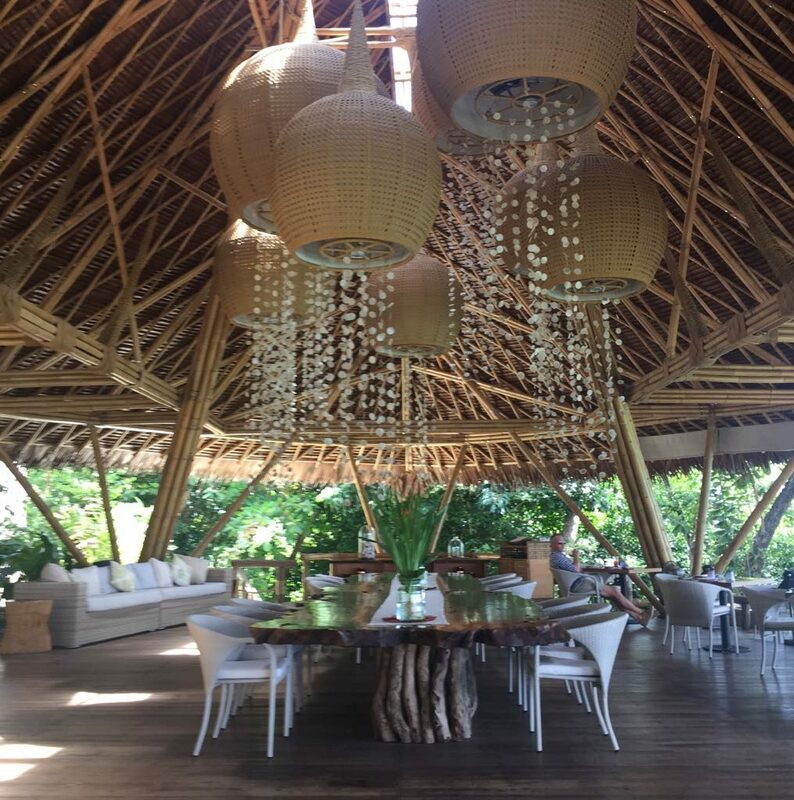 The owner of Bawah reserve is a keen sailor and diver and so the boat house offers a fantastic selection of watersports – from kayaks and transparent canoes, plastic and wooden stand up paddle boards, catamarans and sailing dinghies for both beginners or the more experienced sailor. The team at the Boat House organized and competed in a sailing race with the family and keenly gave the boys and my husband the opportunity to play in a football match – England V Indonesia! We all enjoyed the spa and the vast range of complimentary spa treatments along with the daily yoga sessions. But let’s not forget the food – the Head Chef, has curated a tantalizing menu which blends traditional Indonesian and Asian food whilst giving it an international contemporary style. Sourced from local fishermen and local markets where possible, you can see he is a passionate perfectionist offering inspired dishes. Five nights wasn’t long enough but this new pristine and previously uninhabited marine conservation surrounded by clear turquoise waters, blue lagoons and coral reefs caters to outdoor adventurers with an appetite for indulgence as well as paradise seekers looking for privacy and relaxation. 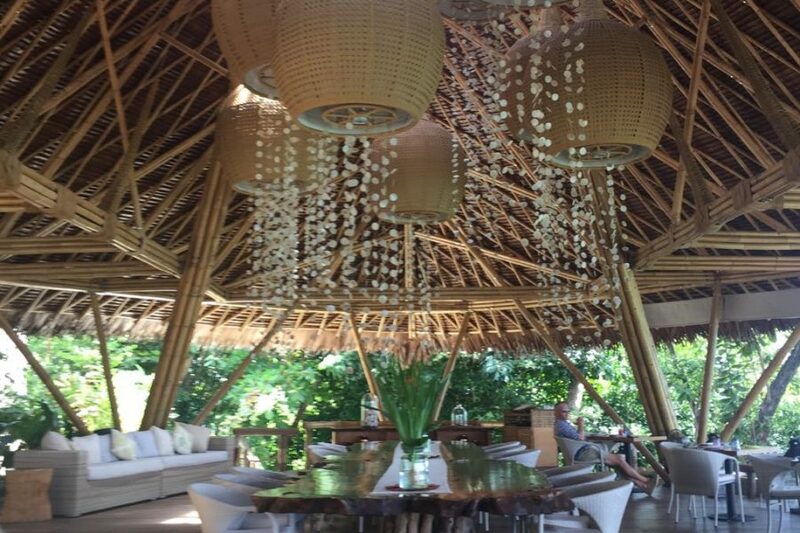 Bawah offers the true meaning of barefoot luxury. 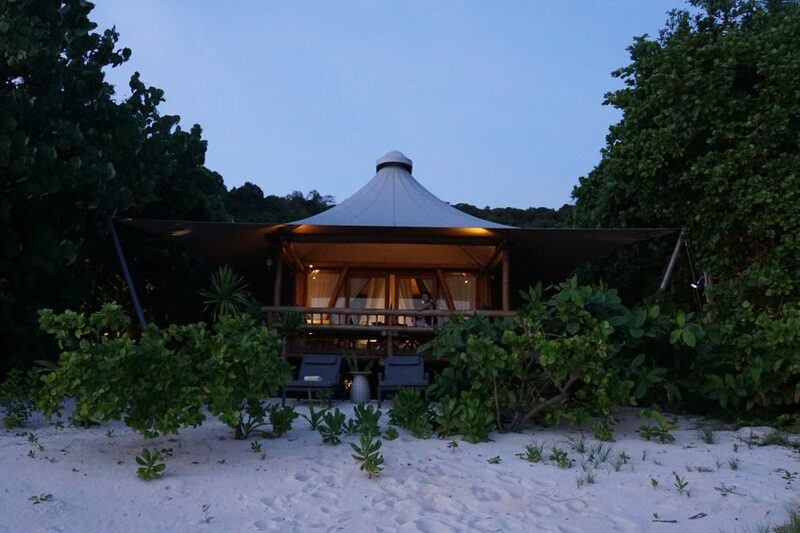 Helen travelled to the Anambas Islands in October.